» The Cross of St James of Compostela is one of Galicia's traditional icons. 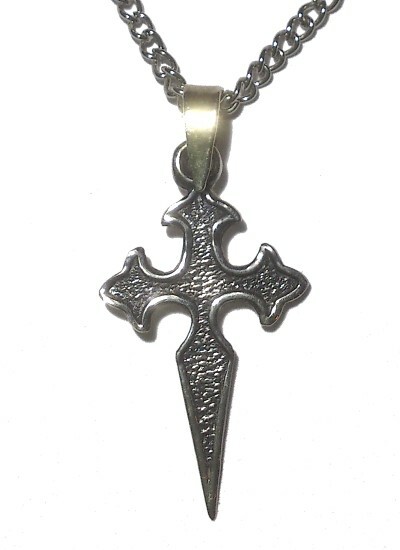 » Made in sterling silver and coated with a dark silver colour finish. » The pendant comes with a choice of a black cotton cord or an elegant iron chain, see pictures for details.